Although we are still in the height of Summer, some people will be wondering where they are going to rest up over Winter. To help your planning we are advertising our Winter Specials a bit earlier than normal. Pick the Deal that is best for you, then come and enjoy the peace and quiet of Havelock. Even though our wee town is a whole lot quieter, there is still plenty to see and do. Keep an eye on our Whats Happening page so that you don’t miss out on anything. We decided to put some very cheap deals together for people who visit our website. So check them out, pick the one that suits you best and use the “Book Here” option at the bottom of each deal. It’s a shame that you cannot stay longer, however the good news is that we can offer you a 10% discount on the price of your stay if you are a NZMCA member. Book Here and provide your membership details in the comments field and we’ll ensure that the discount is applied. Do not forget to bring your membership card to reception when you arrive. 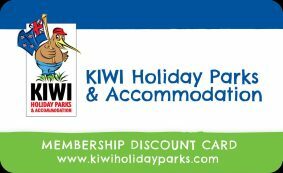 It’s a shame that you cannot stay longer, however the good news is that we can offer you a 15% discount on the price of your stay if you have a Kiwi Park membership card. Book Here and provide your membership details in the comments field and we’ll ensure that the discount is applied. Do not forget to bring your membership card to reception when you arrive. 10% off Pelorus Mail Boat in Havelock Stop Press – we have secured a special offer of 25% discount for Kiwi Park members over Winter. There are many other discounts available both in NZ and Australia, so talk to us before you commit to any of the above and we can sort out membership for you. 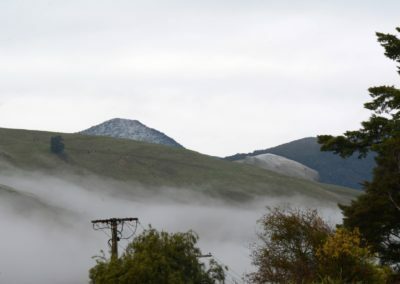 Book Here and state that you want to join Kiwi Parks in the comments field and we’ll do the rest. I would like to stay for two nights .......................................................................................................................... How much will I save? At this time of year we have plenty of room available so we are trialing this offer to tie in with the new Pelorus Mail Boat discount of 25% for Kiwi Park members. It is only available for a short time, so get in now. We want you to stay before and after the Mail Boat trip, so we are offering discounts on both our Powered Campsites and our Basic Cabins. Whatever your choice, Book Here as normal, mention the special that you are after and we will apply the appropriate discount. Great news, I can stay for four nights .................................................................................................................. How much will I save? Perhaps you’ve had a look at our activities or day trip pages on our website, or just want to kick back and relax. Whatever the reason, if you wish to stay with us for at least four days, then we can reward you with a slightly larger discount. If this is your choice, Book Here as normal, mention the special that you are after and we will apply the appropriate discount. I think that there is so much to see and do that I really need to stay for a week ............................ How much will I save? No matter what your intentions – to kick back and relax or get out there and explore – we hope that you have had a good look through our list of Activities and Suggested Day Trips to ensure that you get the best out of your stay with us. I would like to spend Winter in Havelock ......................................................................................................... How much will I save? We have special deal for a limited amount of people who just want to chill out in Havelock for the Winter. From the 1st May until the end of September we will have sites available for a low rent (plus power used). If you are interested then give us a call and we’ll talk turkey. Send an email or give us a call. Tell us the details and if you need anything booked then we can sort it out for you. You don’t want to miss out on the memories so grab your camera, charge the batteries, clear the memory card, polish the lens, pack your bag and get yourselves to Havelock asap. "Great stay, great spot, been coming for years and still as good as the first time in 1999. Heaps to do & see out of Havelock and around the town. P.S. We'll be back"
"This was our least favourite campground last time (2 years ago). Now it's our MOST FAVOURITE. Loved the welcome - Murray & son - and the facilities. The relaxed feeling, the rhythms of the traffic, the little stream, the rubbish bins, the yellow wiping cloths in the bathrooms. Thank you! We loved staying here." "Very nice stay. Everything is so clean & tidy! Warm welcome! Thank you! " Can I stay for a different length of time? Yes, you are free to stay as long or as short a time as you wish. Just pick the offer that gives you the best deal for the amount of time that you wish to stay. There are three of us. How does that affect the offer? That is easy. The offer is for up to two people, so just add $10 per night for every extra adult or $5 per night for every extra child. Note that dogs are welcome on our Sites (no extra charge) but must be declared when you book. We have one cabin and one on-site van that is dog friendly – see website for details. I haven't got a van or tent, do you have deals for your cabins? I am working in the area, do you do deals for long term accommodation? If we didn’t answer all your questions, then feel free to drop us a line anytime.